New Year is just around the corner, and it seems like yesterday that we welcomed 2018. With less than a month to go, it might be a good idea to start preparing for your New Year adventures already. People usually focus on the food, the booze, the friends, etc. but the most important thing to focus on is the venue itself. If you wish to welcome 2019 with full zeal and fervor, here is a list of the best places to celebrate New Year in India! In addition to being the heart of India, Delhi is also considered as the party hub throughout the year. On New Year, the capital becomes even crazier with an enthusiastic crowd, lethal drinks, exceptional food, and the best music. You can either go for booking in one of the famous pubs and dance the night away or go for something a little more understated and spend your New Year’s Eve at a quiet and cozy restaurant. If you have been to Goa, you must already know about the sensational crowd, the dazzling parties, and the spectacular beaches that the city has to offer. Goa is one of the best cities to celebrate New Year’s Eve in India. Welcome 2019 at the coastline with music, dance and a good dose of madness! Bangalore is known as India’s IT hub,but it is also popular for its wild celebrations. You can go to house parties, fine restaurants, enjoy the wonderful climate, visit stadium concerts, and lush gardens. You can also enjoy the lounges at MG Road and partake in the New Year madness. Udaipur is known as the Venice of the East and with perfect reason. It offers a multitude of lakes and palaces. This place can be absolutely heavenly and an excellent choice to celebrate the upcoming New Year. In addition to the luxurious hotels and forts, you can also visit lounges and pubs such as The Counting Clock, Cafe Nirvana, and Gazebo Inn for an unforgettable time. This Maharashtrian city is popular for its nightlife and festivities. On New Year, the city lights up,and the party animals come out for a crazy time in discos and lounges. You can party at a wide range of places such as Stax Hyatt Regency and the Lotus Cafe JW Marriott. Or alternatively, you can simply enjoy the fireworks in all their glory at the Marine Drive. Kolkata is a delightful city to be in during the New Year. The atmosphere of this city carries an infectious blend of festivities and magic. The nightclubs of Kolkata awaken on the New Year,and Kolkata offers everything from masquerade nights to DJ nights for a memorable evening. Pondicherry is a true reflection of the beauty of India. With French architecture and old-world charm, Pondicherry offers the serenity of beaches and superbly fresh air. You can enjoy a cozy bonfire, beachside parties, and fireworks right at the beach to welcome the new air with your loved ones. Popularly known as the ski resort of Srinagar, many people throughout India prefer spending their New Year on this hill station. This place is not famous for its loud and wild parties but its calmness and serenity. If you are looking to spend your New Year’s Eve in the lap of nature in tourist huts and enjoying unparalleled views of the mountains, Gulmarg is the place! 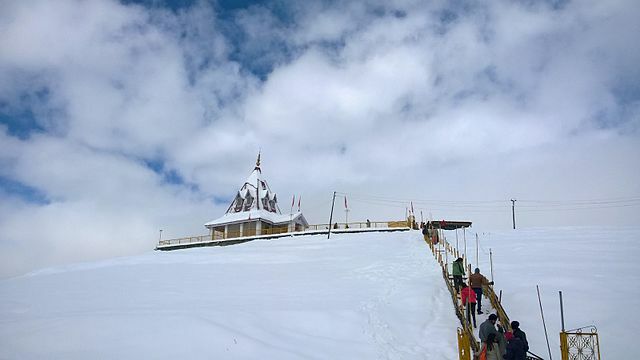 Manali is yet another hill station in Himachal Pradesh where you can get intoxicated not by alcohol but by the sheer beauty of your surroundings. You can visit places like Van Vihar, the Tibetan Monastery, Vashisht temple,etc. or participate in some adventurous activities such as paragliding and parachuting for an exciting New Year. If you wish to usher in 2019 with a colorful and cultural backdrop, Jaisalmer is the city to go to. Jaisalmer is a beautiful desert destination in India where you can do a plethora of activities such as camping, camel safari, and dune bashing. It is definitely a somewhat off-beat destination to celebrate your New Year’s Eve,but you are sure to have an extremely pleasant time in December. If you prefer the hills to the beach, Kasol can quite possibly be the perfect New Year destination for you! With an energetic crowd, fun hippy parties, a starlit sky, a vibrant atmosphere, and bonfires & camping, Kasol can be called as one of the best cities to celebrate New Year’s Eve. Mcleod Ganj is a snow-clad city that will offer you excellent food, a chilly breeze, and foot-thumping music. It is definitely one of the cozier options to spend your New Year’s Eve in. The narrow lanes, the shopping alleys, the warm cafes, and the fun parties make Mcleod Ganj an ideal place to welcome 2019. For a memorable New Year, you can visit Coffee Talks, the Peace Cafe and the Shiva Cafe. Or if you are looking for some peace and quiet, visit the Buddhist temples or camp at Triund for an unforgettable time. Gangtok is yet another place where you can have the time of your life this New Year’s Eve. You can go skiing or snowboarding if you are the adventurous sort. However, if you want a private and quiet celebration, you can opt for a homestay in a rural village. You can also head to the local bars and pubs for an electrifying evening. Kerala is definitely God’s own country and true beauty of India. If you do not crave for crazy and wild parties this New Year, head to Kerala to spend some time in the lap of nature. Relax in houseboats in the backwaters of Alappuzha or Alleppey, visit Varkala for a quiet time at the beach or its exquisite cuisine or visit Munnar for an invigorating time at the hill station. Welcome the New Year with Kerala, and you are guaranteed to have an amazing 2019! Gokarna is a popular coastal city in Karnataka and is also a favorite pilgrimage spot for the Hindus. It has its fair share of electrifying and insane parties for those who are looking to dance the night away to some excellent music. Alternatively, if you wish to laze around at an isolated beach with your loved ones and have a private celebration with some wine or beer, Gokarna is the place to go! Jaipur is known as the Pink City, and its architecture entices people into visiting this city from far and wide. Jaipur is yet another incredible option for a New Year destination. Visit Jaipur and spend your evening dancing the night away or spending it with your loved ones, visiting the fantastic forts and enjoying the architecture of the city. East India is an authentic Indian jewel and Guwahati is no different. It offers an amazingly delightful glimpse of nature in all its glory. Of course, there are nightclubs and pubs aplenty if you wish for a typical New Year’s Eve,but if you want to spend a romantic evening with your partner this New Year at peace with nature, Guwahati is the best choice you could make! Pune is a Maharashtrian city that definitely comes with the most happening and fun party spots. The town of Pune is already gearing up and ready to welcome the New Year with a lot of pomp and show. You can unwind in this city and enjoy the craziest party venues to kickstart the New Year with a bang. Spending your New Year in Dehradun entails getting your hands on the best food, drinks, and music. There is a multitude of party events to choose from,and you will be spoilt for choices. Enjoy the freshest air and the rave parties to celebrate this New Year’s Eve with aplomb! Agra might seem to be a rather off-beat destination to spend your New Year’s Eve. However, this traditional city with its cultural and traditional backdrop can be the perfect place to welcome the New Year. Enjoy finger-licking food and beverages. What better place to welcome the New Year than in the city of love? So, there you go! These are the top 20 best places to celebrate New Year in India this 2019! Choose wisely and say Hi to 2019 with your loved ones at your favorite destination! 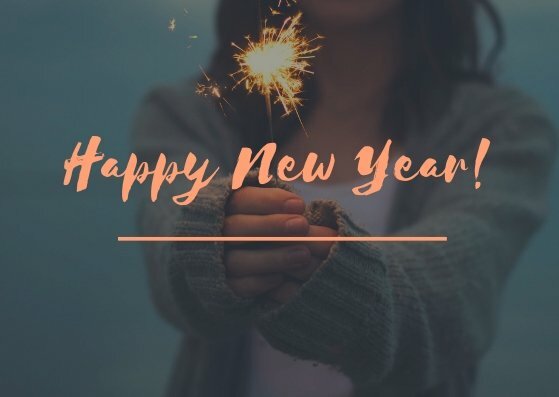 Have a safe and exciting New Year!